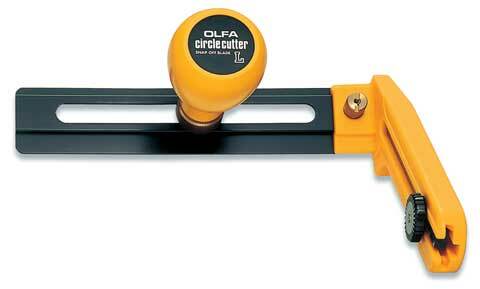 This heavy-duty compass cutter is designed to cut circles from approximately 3" to 12" in diameter. It has an extra-sharp heavy-duty snap-off blade and features an easy, tool-free blade change for convenience. Perfect for cutting cardboard, mat board, and thin plywood, as well as, scribing circles necessary for the installation of recessed lighting, cutting wind slits in banners and cutting out small sections of carpet.